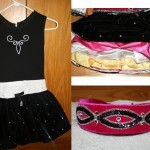 This is a beautiful bright pink, black, and white dress with crystals that light up on stage. 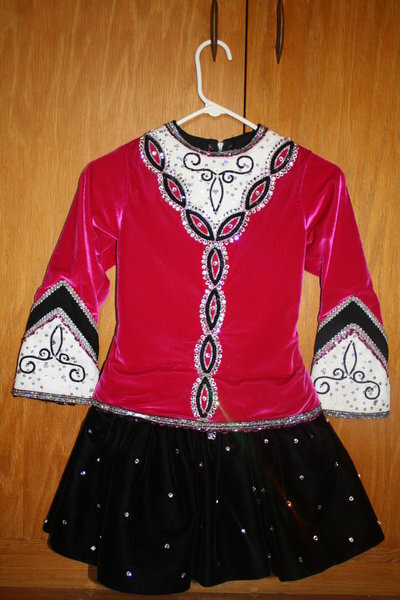 The pink and black material is velvet. This is a two piece dress with the jacket separate from the skirt. 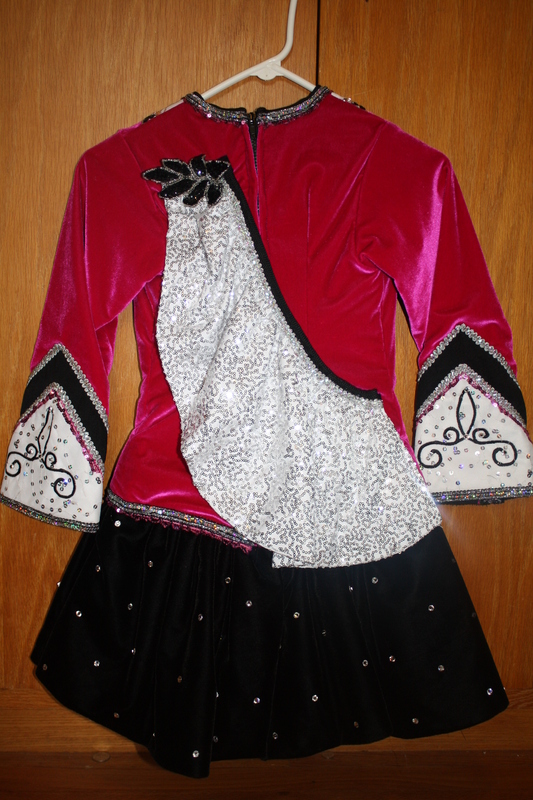 The skirt is layered with pink, silver, and yellow satin underneath the black sequined skirt. 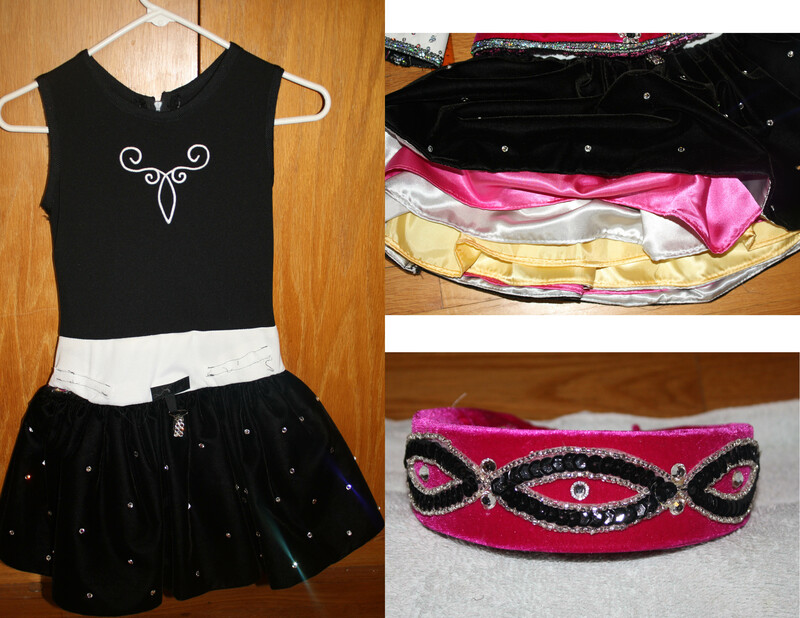 There is a matching pink headband and extra pink material included. This dress was worn for two years and selling due to dancer’s growth. There is room to let out at the sides of the jacket. 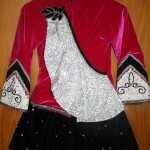 The jacket is separate from the skirt. The measurements taken for the chest and waist were taken by measuring the inside of the jacket with the start and end point being the zipper. There is extra pink material. Asking Price: $US450.00. Shipping costs are included for my own country, overseas shipping is extra. Returns are negotiable.